Today, I am extremely delighted to welcome both the Honourable Member from Bamboo Town, Mr. Renward Wells and the Honourable Member for Fort Charlotte, Dr. Andre Rollins as new members of The Free National Movement. This is indeed an historical moment in the life of Bahamian politics for it is the first time in recorded history that two members of any party have crossed the floor at the same time. This, is their best way to demonstrate that they no longer have confidence and or faith in the leadership of Prime Minister Christie. 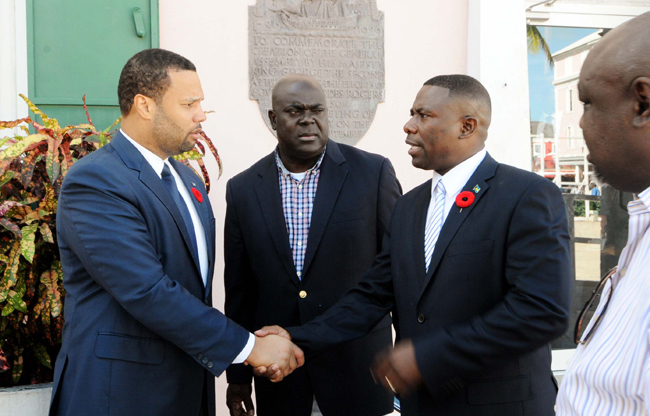 MP’s Wells and Rollins have been touted by Prime Minister Christie as an example of the new generation of leadership, representing the bridge to the future for The Bahamas. Today, that bridge is charting a new course and making a clear statement by joining the FNM that the future of The Bahamas is not with our current government. We know that the public is disenchanted with this PLP government’s poor performance on key issues. In crossing the floor they are protesting the broken promises of the PLP. The PLP government has failed to live up to its election promises inclusive of reducing crime, growing the economy, providing mortgage relief, and improving our education and health system among other things. The failure of the Prime Minister to address these matters, which are of vital importance to the Bahamian people, speaks directly to an overwhelmed and out of touch leader who is out of ideas, solutions and fast running out of time. 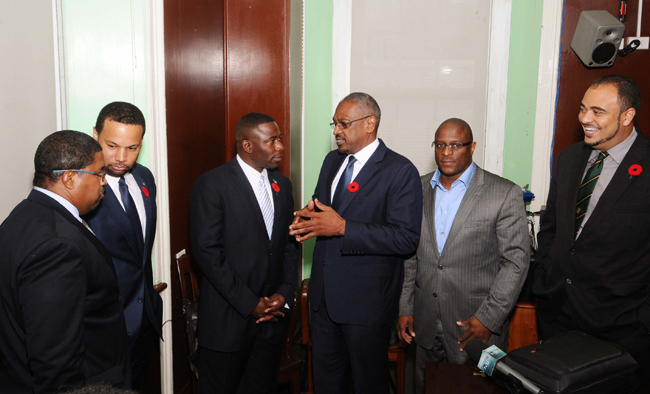 The Free National Movement respects the personal decision made by these honorable men to sever their political affiliation with the Christie administration and the PLP. Such decisions are not lightly made and obviously must reflect a deeply thought-out personal determination on their part to do what they think best for our Country and our people during these trying times. It is clear to me that these honorable gentlemen no longer want to be associated with what this Government has become under the leadership of Prime Minister Christie and the PLP. The Free National Movement thanks the member for Bamboo Town and the member for Fort Charlotte for agreeing to continue to serve the Bahamian people as members of the Free National Movement. Bahamians are weary of the constant rhetoric, inaction, lack of discipline and shuffling of Prime Minister Christie and this government in the face of increasing murders and other serious crimes, increasing unemployment, increasing cost of living, and an also increasing misery and despair index. As I welcome them, I wish to sound the clarion call to all Bahamians of good will who oppose this outgoing Christie administration to join us under our big tent and help us to rescue our county and put it on the right path of recovery and prosperity. I especially invite those disenchanted on the other side to follow these two brave worriers and take your rightful place with those who only want better for our country and Better for our people.